Vast amounts of natural river-borne sediment are trapped behind the world’s 57,000 large dams and countless small ones. And the result is that wetlands are disappearing and coastlines are shrinking as sea levels rise. Scientists now understand that sediment allows coastal habitat to grow, adapt and maintain itself. Wetlands act to protect the lands behind them and are remarkably rich and productive ecosystems harboring fish, birds and other wildlife. Increasingly, people are seeking to restore sediment to wetland and coastal environments. In some places, they are dismantling dams. Removing two dams in Washington State in 2011 has created brand new wetlands and moved beaches by 500 feet in just a few years. 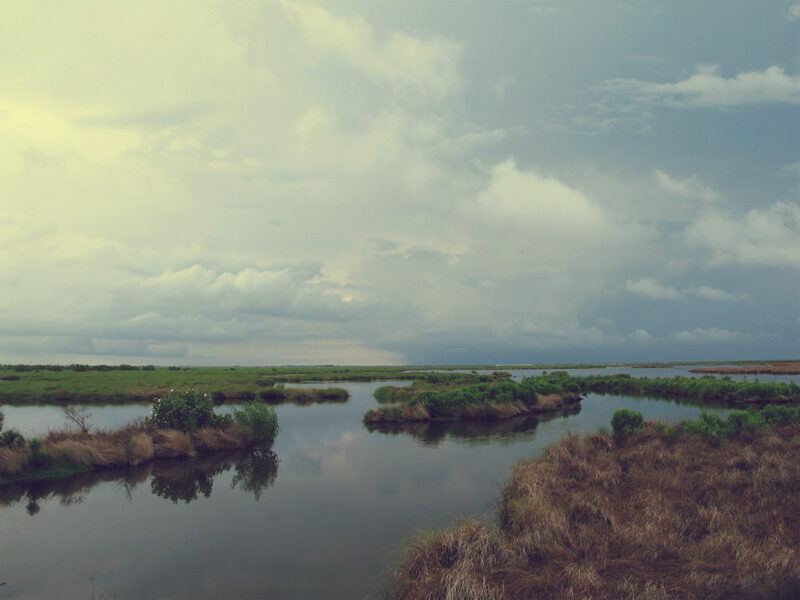 In Louisiana, there are sediment diversion projects aimed at rebuilding and sustaining that state’s coastal wetlands. In China, the Yellow River carries three times the sediment as the Mississippi, so a new dam on the river has specially-built portals that allow sediment to be discharged downstream. In California, there are efforts underway to try to restore the wetlands of San Francisco Bay, 90% of which have been destroyed by human activity. We have re-engineered our natural environment in many ways and often with unintended consequences. Shutting off the supply of river-borne sediment – once seen as a good thing – has created problems that we are only now trying to fix. Photo, posted June 9, 2012, courtesy of Flickr. ‘Restoring Sediment to Save Wetlands’ from Earth Wise is a production of WAMC Northeast Public Radio.